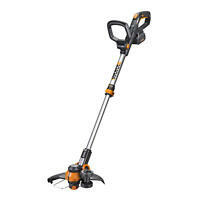 SALE: Get 10% off: Grass Trimmers - Combos included! It arrived today and it is excellent. Thank you for everything! A+++++++++++++. Disappointed , charged more than said , never happened before , with others. Save your money and spend it on a Better Name Brand known for Quality Electric Chain-Saw. Save your money and buy a different brand of electric chainsaw. The slightest debris that gets into the side cover and/or between the bar and drive gear (and debris will get in there quite easily) the chain will continuously bind up and drop off the drive gear and jam up. Maybe if someone were doing some heavy duty commercial large diameter tree cutting you could expect this, but shouldn't have to expect this for light tree trimming/cutting yard work. Product is very good, cutting is excellent! Very reliable chainsaw. ... Love WORX products! 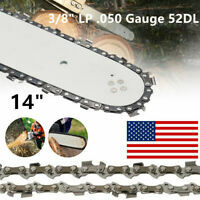 I will say that this chain saw is perfect for what I need it for, not too big and it has enough power for around the house cutting...for me that is. Another great product from Worx! I had a tree that was a very hard wood and about 12 inches in diameter. I was surprised at the power and ease that I was able to cut it. The stump was about 24 inches at the base and cutting through it close to the ground was much easier that I thought it would be. The saw does not look very heavy duty but I believe it will hold up well for the type of cutting I do. If the wood is very hard and the saw chatters the chain did have to be adjusted a little more often as one of the other reviews mentioned but it was not a big problem. I have a greenworks 7 amp that can be used on or off of a pole that works well for trimming limbs but this saw seemed to cut with a lot more power and speed considering it is rated only 1 amp higher. It also worked well with my pulsar 2000 inverter generator so I don't have to worry about staying within 50ft of commercial power. It was so nice not to have to deal with having to start and deal with a gas saw. I highly recommend.